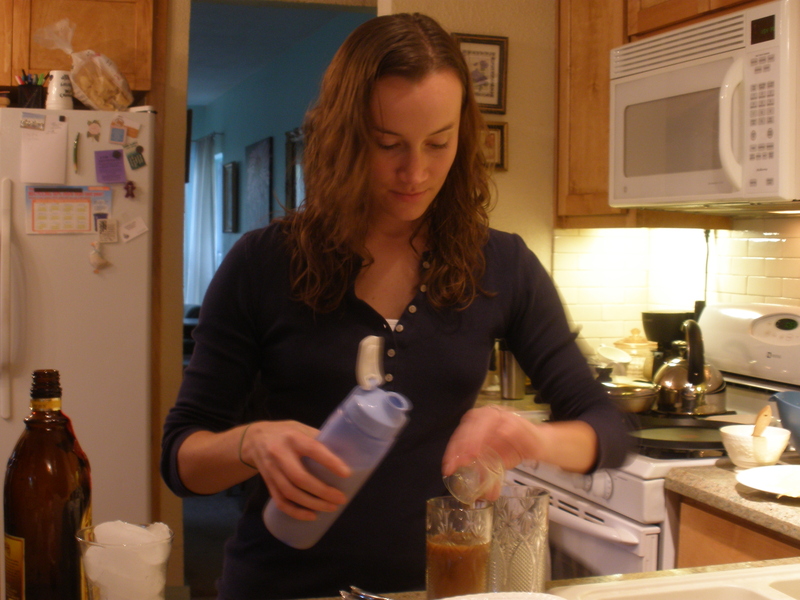 This will be a 4-in1 post–four recipes in one post! 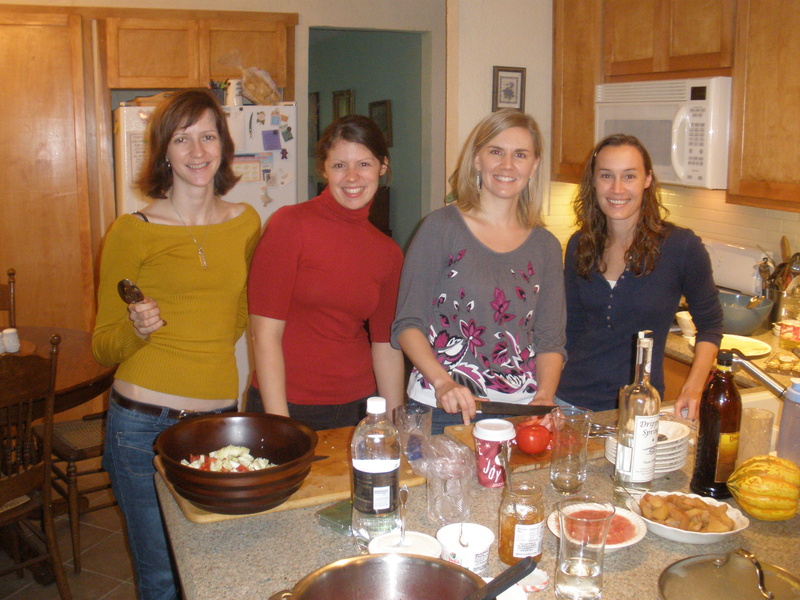 I’ve never shared so much cooking fun in one day! 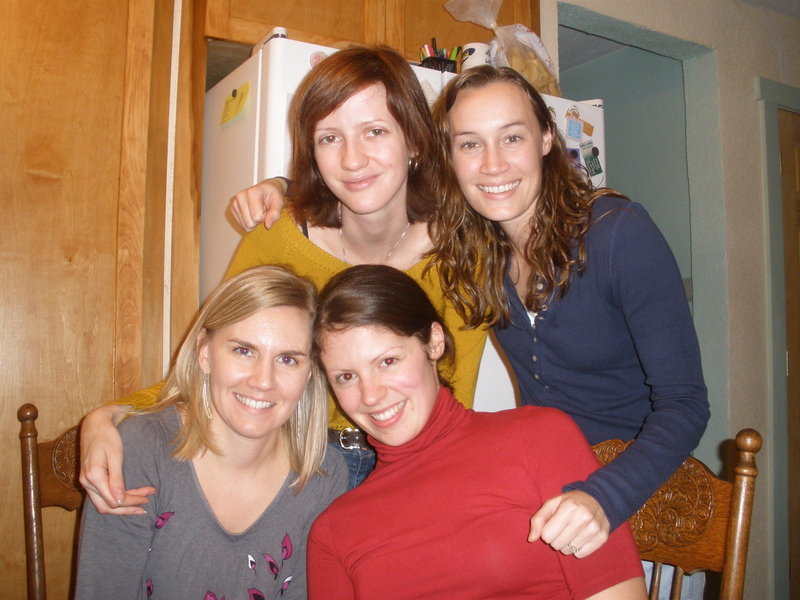 My Russian friend Ksenia invited me and a few friends to her host family’s house for a fabulous Russian feast. What a terrific day for food and drink! There were four courses to this meal, so this post may prove to be long…..But the common theme of the day is that everything we made has only a few simple ingredients with simple preparation. 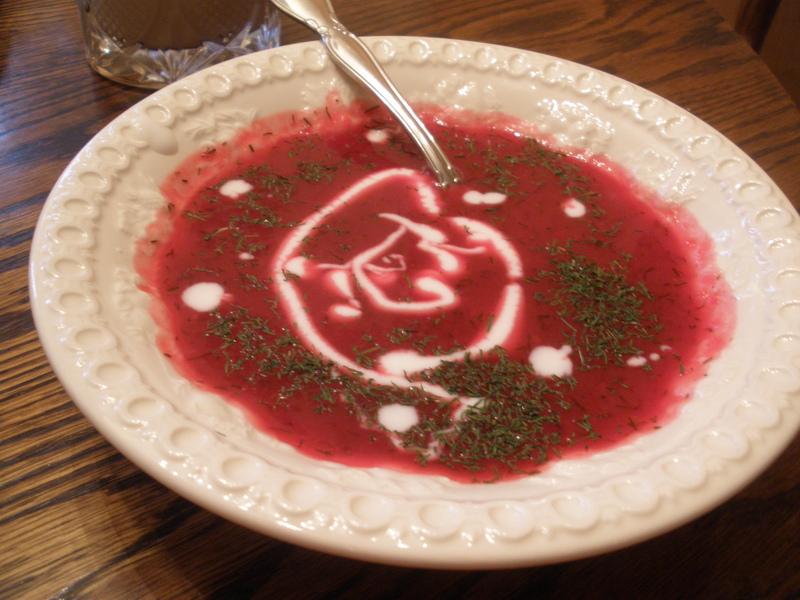 I made borscht, a bright magenta soup made of beets, potato, cabbage, carrots, onion, dill, and vegetable broth, topped with plain, whole milk yogurt. 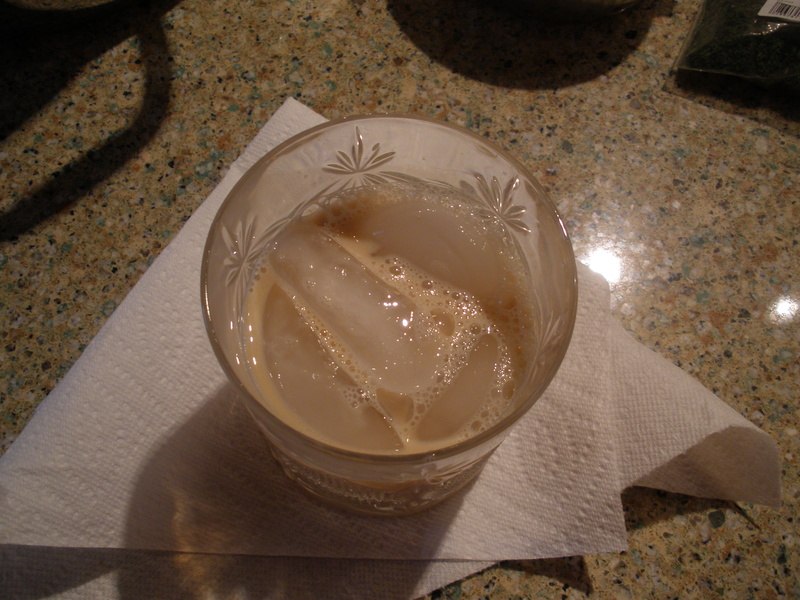 Michelle brought a simple Russian salad she ate often while she lived in Russia, and Sarah brought vodka, Kahlua, and cream to make White Russians, which is probably a very un-Russian drink. Except that it contains vodka as a key element. 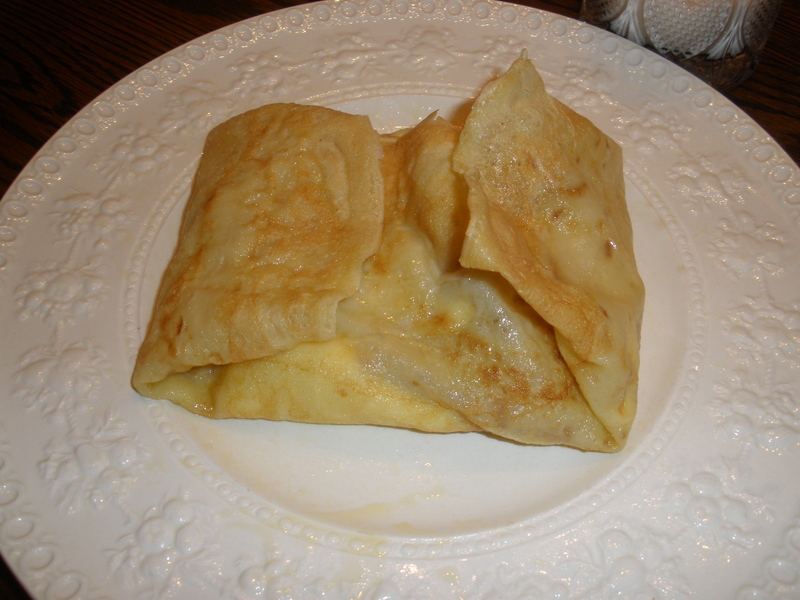 Ksenia made crepes using her grandmothers batter recipe. So authentic! Peel and chop the vegetables into roughly the same size. Heat the olive oil in a soup pot over medium heat. Add the onion, and stir to coat the onion in the oil. 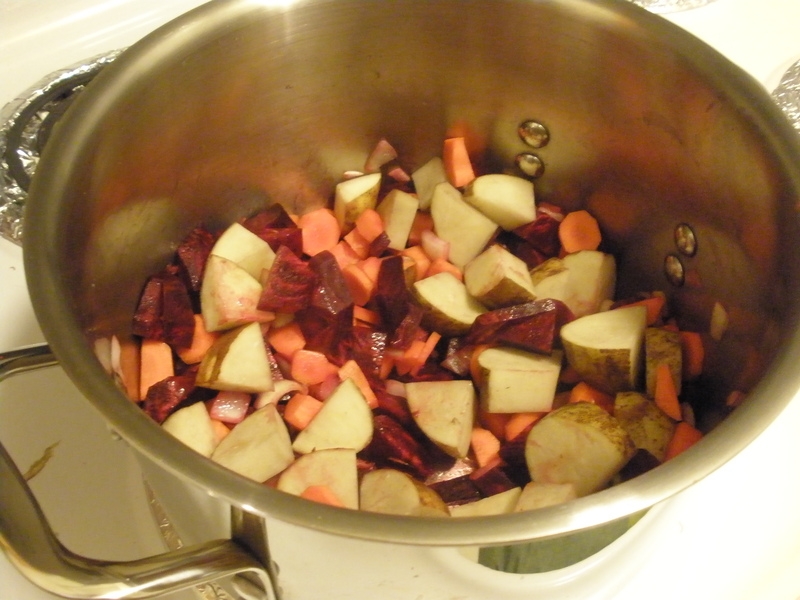 Cook just a few minutes, then add the beets, carrots, and potato. Stir to mix and coat in the oil. Fill the pot with the broth or water, turn up to high, add a few teaspoons of salt, and grind some pepper into the soup. When you soup comes to a boil, turn down to medium, cover, and cook for 20 minutes. After 20 minutes, add the cabbage and cook for 10 minutes more. 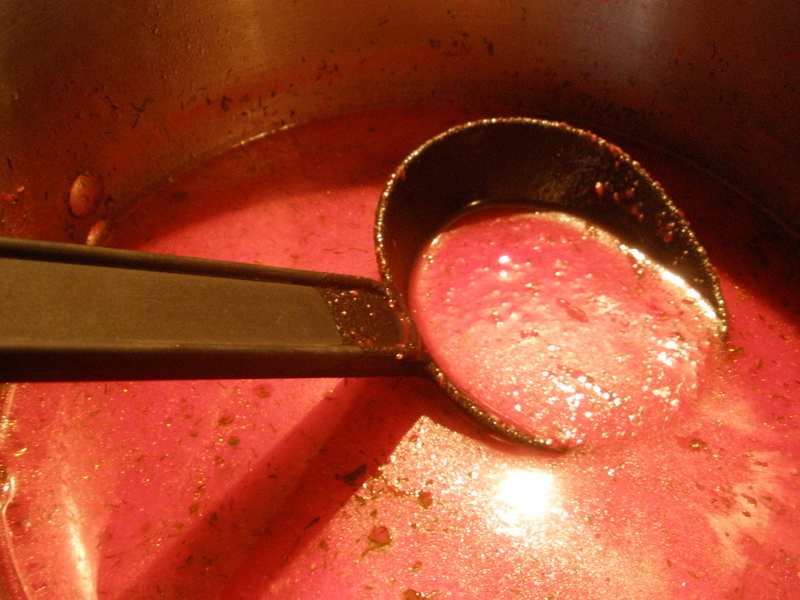 Make sure the beets are tender to test if the soup is done–they will be the last of the vegetables to finish cooking. Once the cooking is finished, get out your blender. Strain the vegetables using a slotted spoon (big spoon with holes in it), and add them to the blender. Add a few ladles of broth. Puree. Dump your newly pureed soup into a separate large bowl and set aside. Repeat this process until all the vegetables are pureed, and you’re left with some broth in the pot. Only fill your blender about 2/3 full, because hot soup in a blender can be a dangerous thing. Once all the vegetables are pureed, add them back into the pot of broth, and stir. Taste, and adjust the seasoning if necessary–you may need additional salt at this point. Stir in the dill. Ladle your soup into bowls, top with more dill if you want, and spoon some yogurt over the top. Yum! 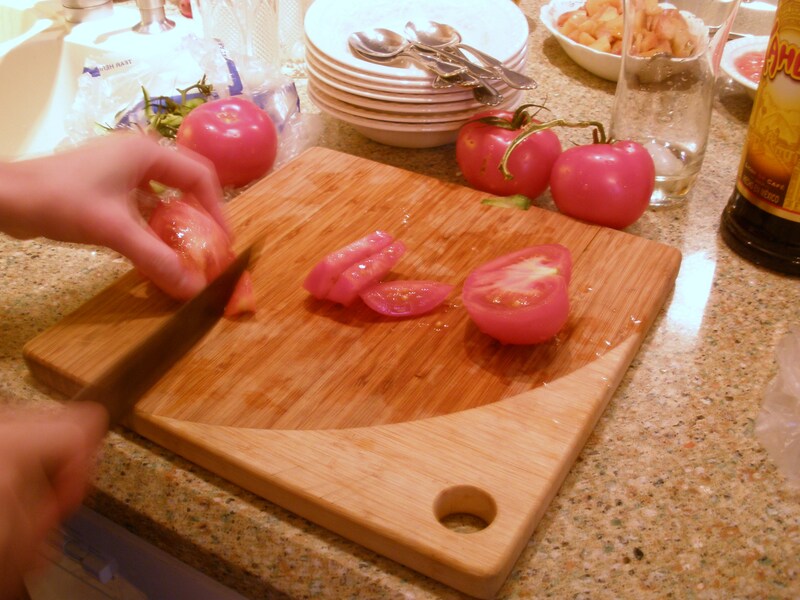 Chop the tomatoes and bell pepper and add them to a large bowl. 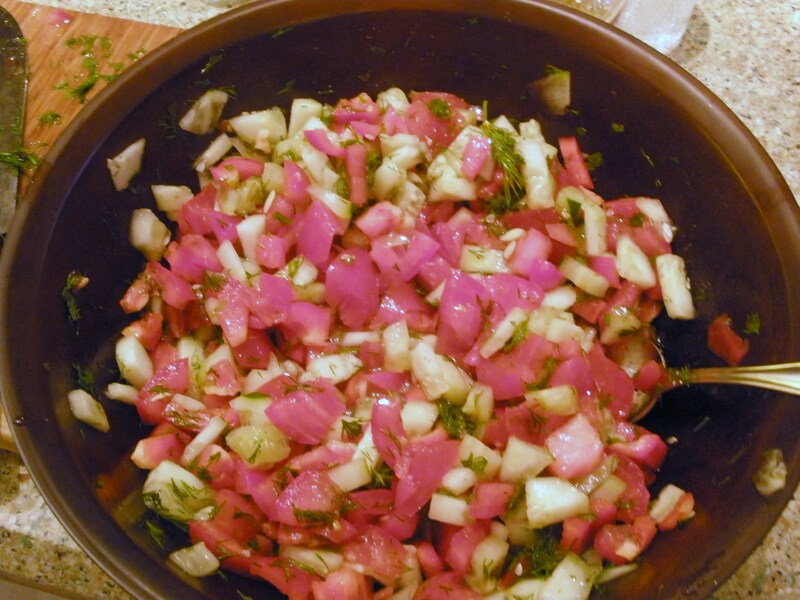 Peel the cucumbers and chop, and add to the tomatoes and peppers. 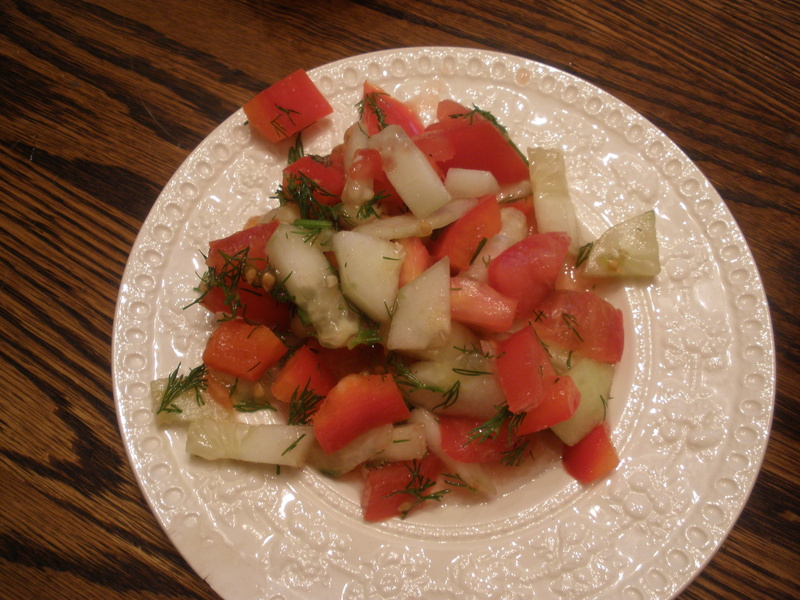 Chop the dill, and toss it with the vegetables, olive oil, and add some salt to taste. Heat a crepe pan or skillet over medium heat. When I make crepes, I just use my stainless steel skillet and coat it in butter between each crepe to keep them from sticking. Crepe pans don’t require butter. Heat the milk in the microwave for about a minute and a half. Add to a mixing bowl, and beat in the 2 eggs, add the water and the rest of the ingredients. Mix using a whisk. 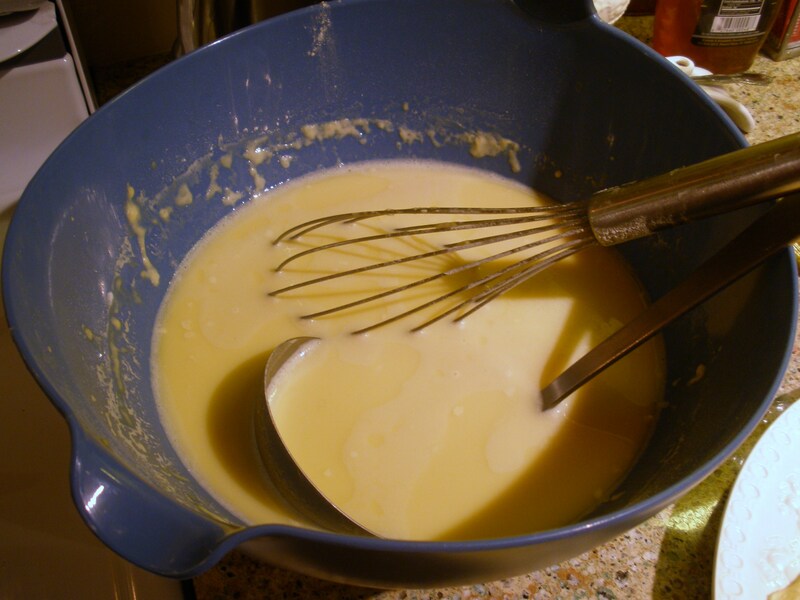 Once the pan is hot, use a ladle and spoon a ladle-full of batter onto the pan. Immediately pick up the pan and move it around to spread the batter around. 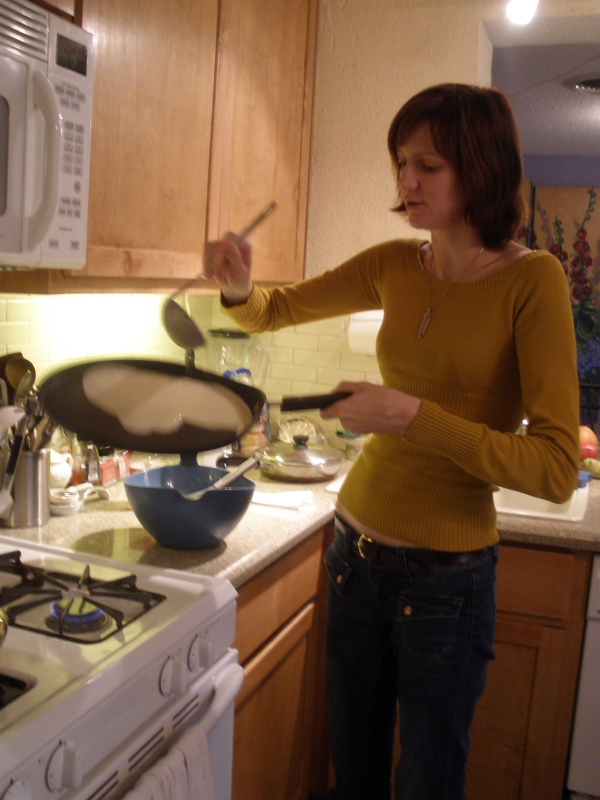 The crepes will only take a minute or two to cook, and don’t really require flipping. They are so thin that they cook on both sides at once. For fillings, we used apples, strawberries, ricotta cheese, honey, and sour cream….not necessarily all together! 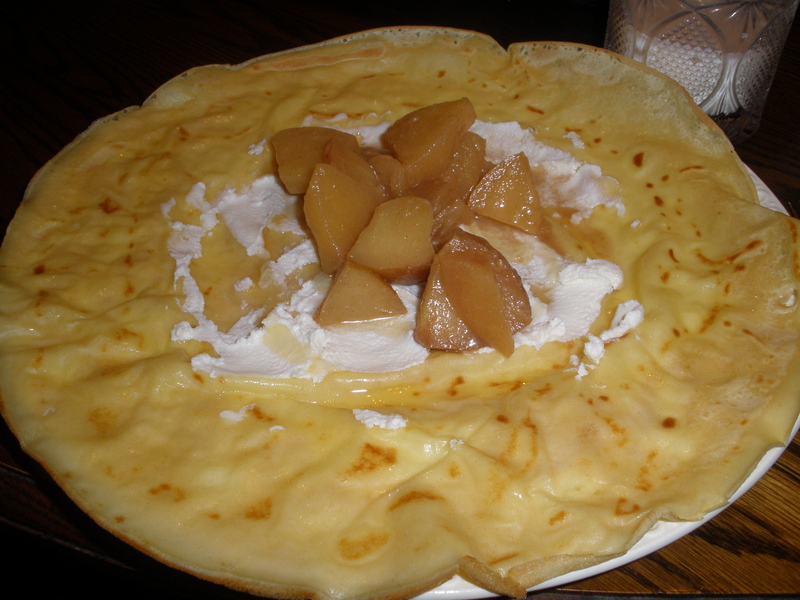 I spread some ricotta on my crepe, added apples, and a bit of honey. What a fun afternoon! Thanks ladies! Cappuccino: No espresso machine necessary! This morning I had a lovely breakfast before heading out to the Sunset Valley Farmer’s Market. My customary coffee turned into a cappuccino, and I had a lovely fruit/yogurt parfait using some of the granola I made a few weeks back. It turns out that all you need to make a cappuccino complete with frothy goodness is a blender! I got this great idea from my newest cookbook, The Urban Vegan by Dynise Balcavage. I typically make my coffee in an Italian espresso pot, or caffettiera. However, make your coffee with whatever contraption you wish. While my coffee was brewing, I put about 3/4 cup of soy milk (you can use milk of any type for this purpose) in a glass liquid measuring cup and microwaved it for about 1.5 minutes. Get out your blender. Put the hot milk in the blender, and whirl for about 20 seconds or so. The blender gets enough air into the milk to produce froth. Check out my lovely holiday mug. It’s a little crazy looking, but comes in handy for a cappuccino. Mix the coffee and milk in the mug, and sprinkle with cinnamon. To top off my cappuccino triumph, I made a breakfast parfait with a sliced organic Gala apple, organic whole milk yogurt from Straus Family Creamery, the very last of the granola I featured on the blog about a month ago, some dried cherries, a few chopped walnuts, and some honey. Yum! Great way to start a Saturday. I think this set me up for a great farmer’s market experience. I ended up with giant sweet potatoes, a large bunch of beautiful arugula, persimmons, a green bell pepper, and a bag of tangerines. Yum!! I’ll take some pictures of my loot and post them later. This is like eating apple pie but with no crust! I also added my own twist by using raisins. It’s a very easy fall dessert: simple yet luxurious.